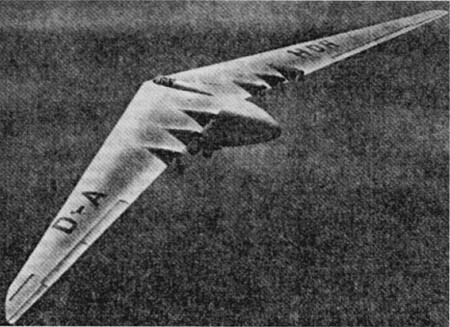 About two weeks before Arnold's sighting, T-2 had received an intelligence report from the US Military Attache in Moscow that contained a tale of dubious reliability about a fleet of Russian bombers based on the Horten VIII, large flying wing similar to the US Northrop XB-35. 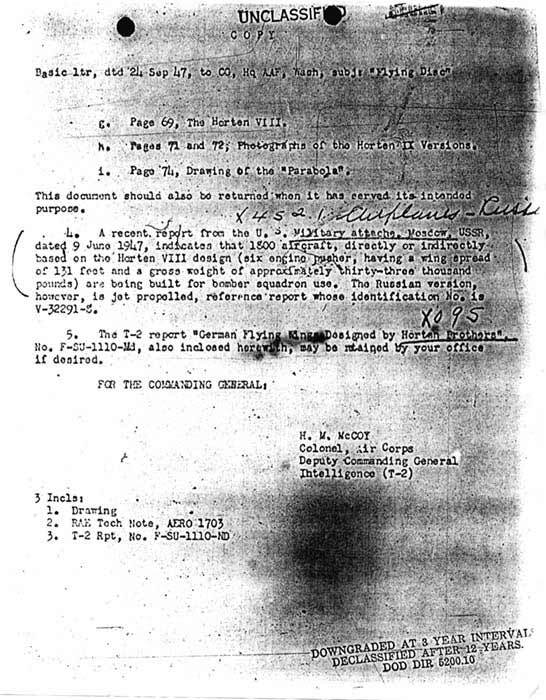 This report probably gave the early T-2 investigation of the saucer phenomenon much of its initial momentum. 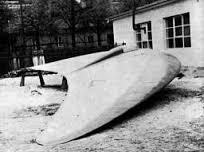 Actually, the Horten Ho 8 was a propeller-driven transport, not a bomber. 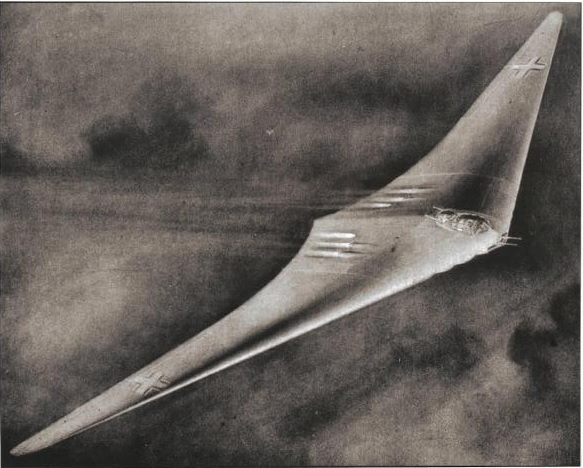 The Horten concept closest to what is described in the memo was the Ho 18, a six-jet, intercontinental-range bomber specifically designed to attack the US from Europe. This type of confusion was characteristic of the output of T-2 Intelligence at the time, which was still sorting out the details of the menagerie of wartime German projects described in the Project Lusty material. Complicating this confusion was the almost complete lack of reliable intelligence on new Soviet air developments. In 1948, Col McCoy would admit to his superiors that ninety-five percent of T-2's intelligence on new Soviet aircraft came from watching overflights at their military airshows! T-2 was operating in a knowledge vacuum which would contribute to the ongoing concern about flying saucer-type aircraft. Air Force Transmittal of EEI on Alleged "Flying Saucer"